​While the ​Astros are currently battling for a series lead in the ​ALCS, they might have other major issues beginning to brew. Houston's cheating scandal regarding a man who claimed to be an Astros an employee carrying a video camera near the Red Sox dugout in Game 1 is reportedly not the first time that the ball club has done this. ​​With a huge postseason series on the line, this is the LAST off-the-field problem that Houston needed to deal with. Of course, if it's true, then they deserve to. Even if the man was an employee for the Astros, to be near Boston's dugout and constantly texting on your phone could not look more shady. No part of this image sounds anything close to legal in the MLB. 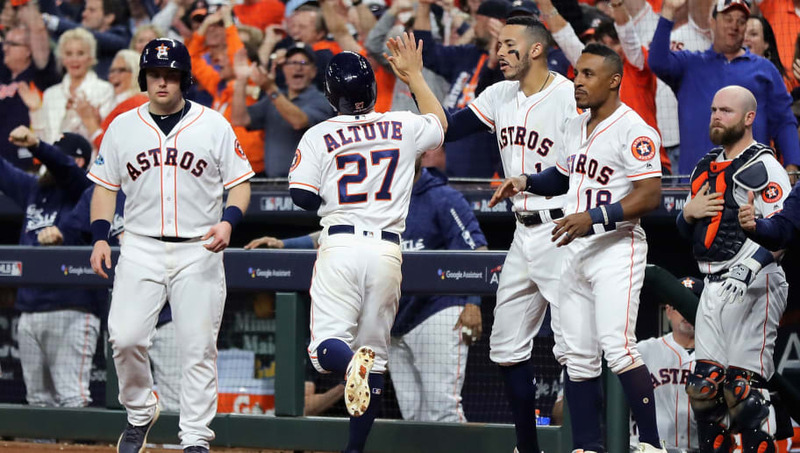 If these reports do eventually come to fruition, it can wreak havoc for Houston and the rest of the MLB during the rest of this 2018 Postseason. While it hasn't been confirmed who the alleged person near the dugout was, details should continue to emerge regarding the integrity of the Astros as an organization. You wonder if this extends to the regular season? It has to, right? We owe Trevor Bauer an apology.